Wednesday 10th September was World Suicide Prevention Day. There are now lots of days and weeks designated for mental health awareness, so much so that it’s starting to become a bit confusing, but I reckon there’s probably never a bad time to be reminded to mind your mind. Next Friday October 10th is World Mental Health Day. With these two dates in mind, I wrote this column for the Mayo News on Tuesday 16th September. Last Wednesday was World Suicide Prevention Day, a global day designated for raising awareness of suicide and suicide prevention. Traditionally shrouded in silence and shame, the stigma with which suicide was traditionally regarded in Ireland is being slowly cast aside. But as welcome as that is, it makes the consequences no less devastating, and indeed it is an occurrence with which many of us are all too painfully familiar. Recent statistics from the World Health Organisation suggest that at a global level, someone dies by suicide every 40 seconds. Ireland has the fourth highest suicide rate in Europe, and 475 people died this way last year. Over one a day. That’s a lot of grieving families, partners and friends. Suicide is complex, as are the reasons behind it. There is, however an established link between suicide and mental ill-health, and we are finally starting to talk about it. The conversation has developed significantly in recent years, and we are slowly but surely moving towards a point where it is just as normal and acceptable to talk about your mental health (or ill-health – there is an important distinction) as it is your physical wellbeing. However, it truly is a case of a lot done, a lot more to do. Crucially, the question people are starting to ask is “What can we do?” This is a welcome development, given the countless campaigns to raise awareness of suicide and depression. At this point, I think it’s fair to say we’re all well aware of the problem. Now what we need are solutions, and the truth is, every single one of us can make a difference. To put it bluntly, it’s high time we all looked in the mirror, and stepped up and took some responsibility for suicide prevention. It’s all very well advising people struggling with their mental wellbeing to “reach out”, “get help” and “talk to someone”. That’s the overriding message, and yes, it’s good advice – more often than not, it will help. But as someone who has suffered in the past with mental ill-health, the fundamental problem with telling people who are struggling to “get help” is that it places all the onus on someone who is unwell to take that first step. 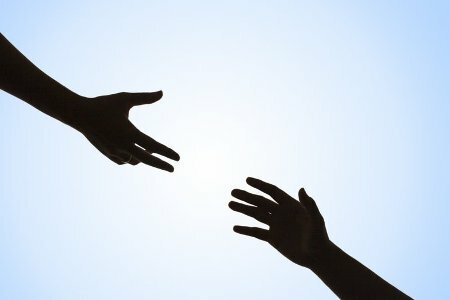 What if, for a change, those who are well started doing some of the reaching out? When you’re in that dark place, when you’re so unwell that you’re starting to believe that not being alive at all would be preferable to living with unrelenting darkness, it’s common to withdraw and isolate yourself. “Just talking” to someone can seem like a mammoth task. When I experienced my first bout of depression over fourteen years ago, I didn’t leave my house for nearly two weeks. I needed someone to reach out to me, and I was one of the lucky ones – somebody did. I will forever be grateful to that person, because I owe them my life. If we are serious about tackling suicide, we all need step up to the plate, and start being kinder to each other. We need to be cognisant of the fact that 1 in 4 of the people around us will be suffering from a mental health issue (mild or major) at any one time. Every single one of us at some point will experience emotional difficulties. We don’t know what others are dealing with in their day-to-day lives, and there may not be any signs. But there are lots of little things we can all do. A phone call, an email to someone you haven’t spoken to in a while; even a kind word to a stranger can make the world of difference. When you ask someone how they are, listen to their reply. Remind your loved ones that you love them. Let’s look in the mirror and take some responsibility here. Let’s as a community educate ourselves and be more thoughtful, supportive and kinder to each other. And let’s end this scourge on our society for once and for all.